On 29th July 2014, the Bishop of St Albans, the Rt Revd Alan Smith, received an answer to a written question on humanitarian assistance in South Sudan. 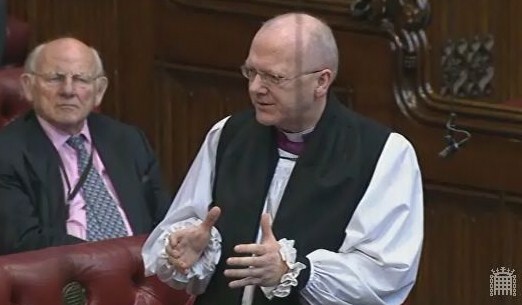 The Lord Bishop of St Albans: To ask Her Majesty’s Government how they are supporting the role of churches and other civil society groups in the peace and reconciliation process in South Sudan, and in the delivery of humanitarian assistance. Baroness Northover: The UK is one of six donors funding the United Nations Development Programme (UNDP) Community Security and Arms Control (CSAC) Project, which includes provision of technical support for national and community-level community reconciliation process, including working with faith-based partners. Furthermore, under the Africa Conflict Pool Programmes, the UK is funding civil society organisations to build the capacity of local populations to identify and resolve conflicts that affect them. Through the Common Humanitarian Fund (CHF), the UK has supported work by national civil society to provide health, education, food security and livelihood, water and sanitation and mine awareness services for the most vulnerable. In addition, some United Nations agencies supported by the UK (such as the Food and Agriculture Organisation (FAO) and the World Food Programme (WFP)) work in close collaboration with local partners. To improve basic services the UK funded Girls Education South Sudan (GESS) project is working through Episcopal Church of Sudan (ECS) in two of South Sudan’s 10 States, and the UK-led Health Pooled Fund (HPF) will support faith-based county hospitals as well as government ones.